Skoda has raised the curtains of the all new Octavia RS (also called vRS), the fastest production Octavia ever, ahead of it’s unveiling at the Goodwood Festival of Speed on July 10th. 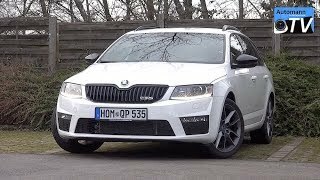 This is the third generation Octavia vRS/Octavia estate vRs which creates a strong impression with its powerful and efficient engines, racy design and innovative technology. There are two new engines to power the new Skoda Octavia RS. First choice is the 2.0-litre TSI petrol engine developing 220 PS, mated to a 6-speed manual transmission only. The Octavia RS accelerates from 0 to 62 mph in only 6.8 seconds with a top speed of 154 mph. The second choice is the 2.0-TDI diesel engine which produces 184 PS of power. It accelerates from 0 to 62 mph in 8.1 seconds with a top speed of 144 mph (with six-speed manual gearbox). The new engines provide more power to make the new Octavia RS quicker and faster and yet consume up to 19% less fuel. Start-Stop and Brake Energy Regeneration are fitted as standard. 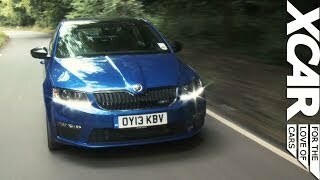 The new Octavia vRS and Octavia estate vRS set new standards in the sporty compact class and also takes the brand’s sporty genes with it on the road. 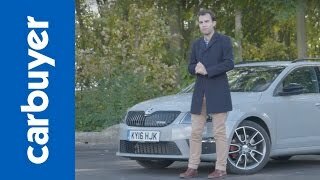 The Skoda Octavia RS is a perfect car for free time and everyday use, maximum power, the latest technology and great value for money.